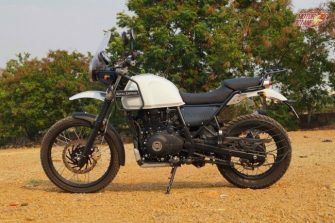 The Royal Enfield Himalayan has been the one of the most awaited motorcycles from the time it was announced. This has been an all-new product launch for the company after the Continental GT, since 2013. The Himalayan is made on an all-new chassis and is powered by a new 411cc engine. We ride the Himalayan in various conditions, including city, highway and off-road to bring to you what this bike is made of. 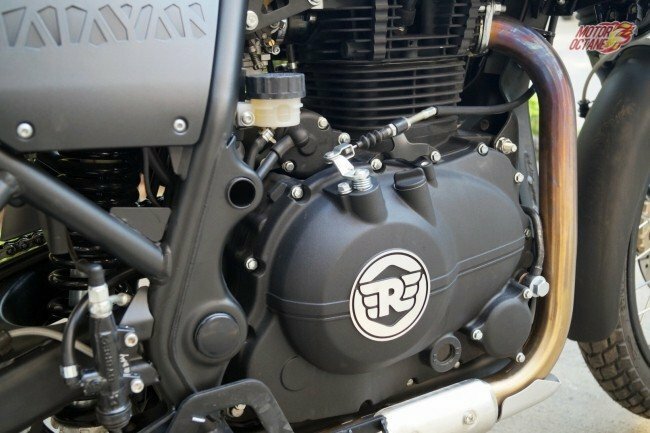 Royal Enfield is working towards new generation bikes and engines, not just for the Indian market but even for several new bike markets. The target is to make the same range of bikes for the global market. The Himalayan looks like a proper adventure tourer. Though not the prettiest in terms of looks, it is build for a purpose, which it certainly looks to perform at its best. The Himalayan is based on an all-new chassis which is a half-duplex split cradle frame and has all new parts too. 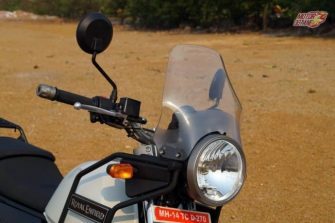 The Himalayan is also the first Royal Enfield to feature a mono-shock rear suspension. The rugged frame and optimized geometry allow it to weave through traffic and narrow trails with ease. 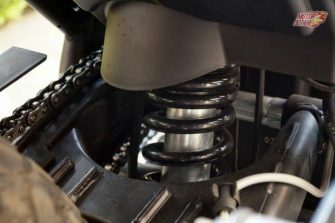 The long suspension travel and the mono shock at the rear are designed to offer a comfortable ride and also good grip on a variety of terrains. The contoured seat and optimized foot peg position make the sitting position upright which is ideal for long distance travel. The seat height of 800mm is ideal for multiple riders. 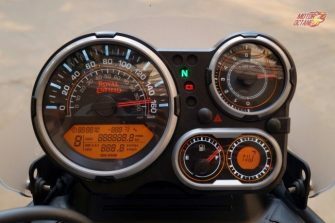 All the instrument panel is easily readable. 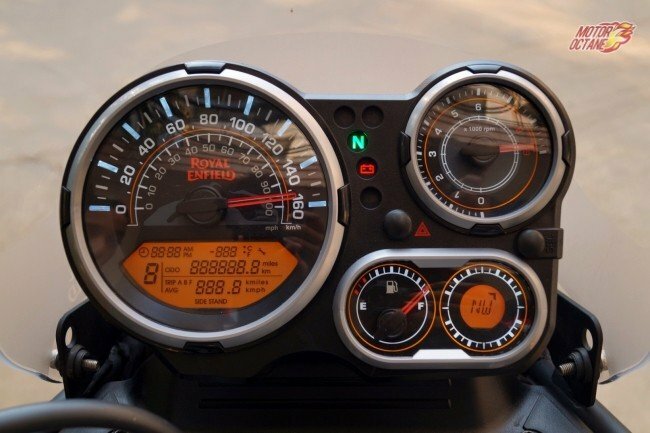 The instrument cluster helps in keeping track of speed, direction (with the integrated compass), time, temperature and has also got a service reminder. There are also multi-trip meters for calculating trip records. The high-placed headlamps offers a wide spread of light and illuminates the road very well. 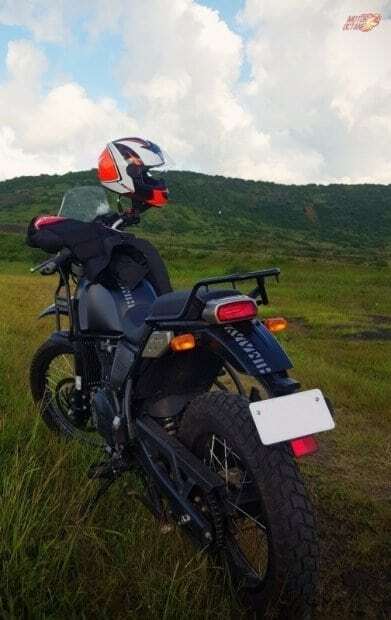 The handlebar, seat, foot pegs and the narrow fuel tank are positioned in a way which makes it easy to find a sitting or standing stance while riding on different terrains. The upswept exhaust allows greater water wading ability and makes it easier to ride through streams and rocky areas. 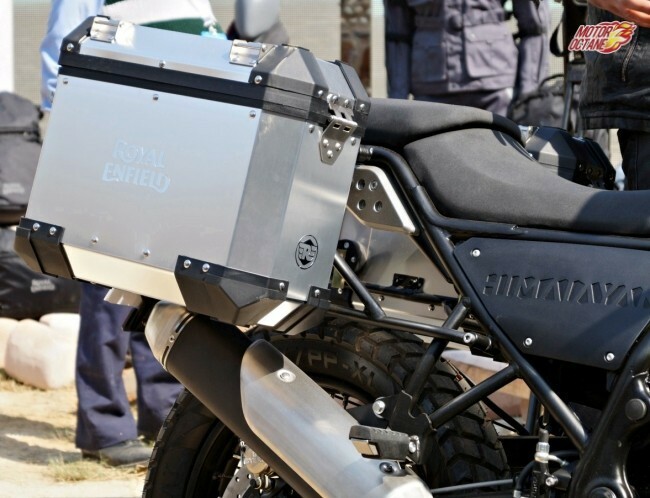 The Himalayan also has mounting points at the front and rear that allow fitment of hard panniers, soft bags and also jerry cans. One thing that I would like to mention is that the branding on the bike could’ve been better. For instance, the Himalayan logo, though quite artistic, fails to get read by most people. The only readable branding is that of ‘Royal Enfield’, near the tank. In my opinion, RE should’ve done away with the main branding as Royal Enfield. 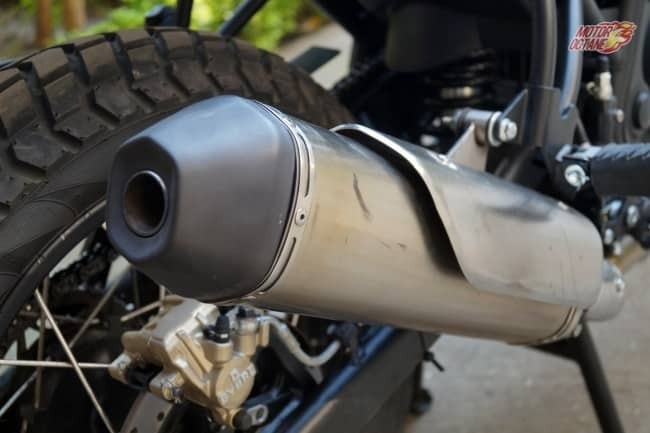 Most people (except enthusiasts who know about the bike) think it to be a modified ‘Bullet’ and many asked me too, until I had to specifically tell them that this is not a Bullet but a brand new bike called Himalayan. So, the purpose of creating a new image by Royal Enfield is majorly defeated here. 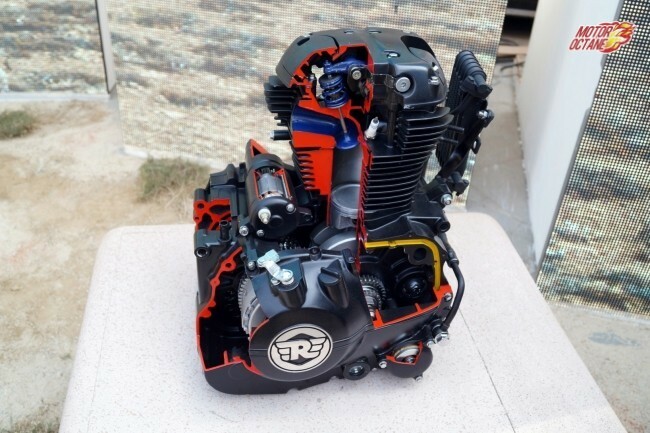 The heart of the Himalayan is an all-new 411cc air-cooled, four-stroke, overhead camshaft unit that develops 24.5bhp of power @6500rpm and a torque of 32Nm @4000-4500rpm. This is engine is called LS410, where LS stands for Long Stroke. 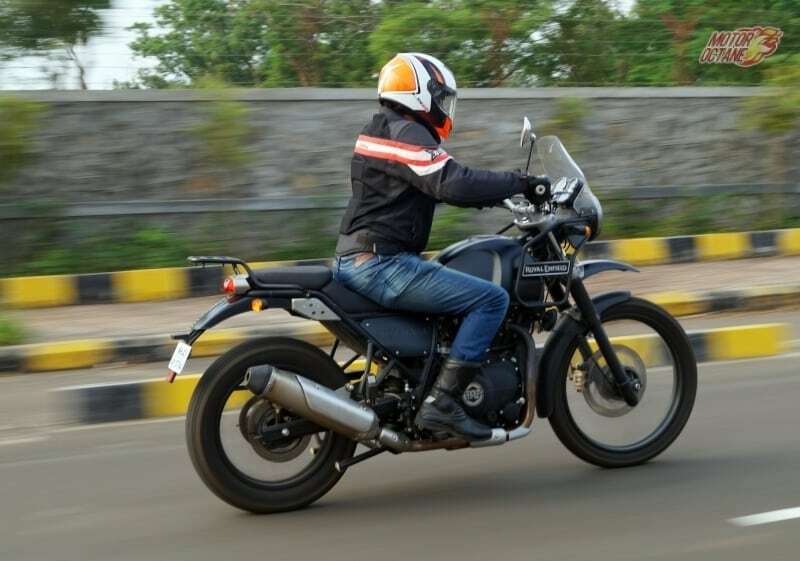 The engine is tuned to offer good low end torque that help in pottering around with the bike in the city as well as offering decent thrust ones needs on the highway, especially while overtaking. There is enough usable power at lower rpms. 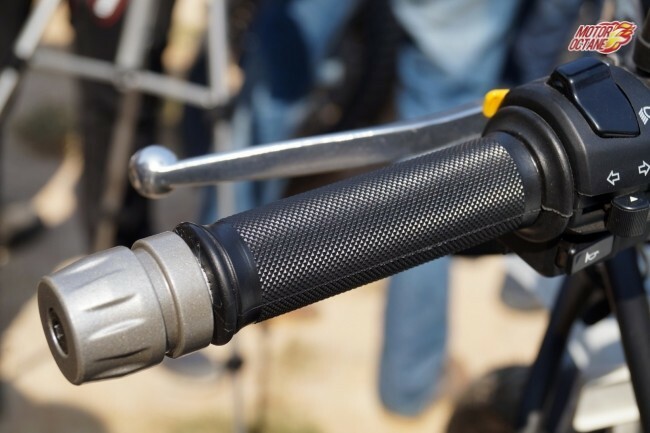 Don’t expect the bike to shoot off when you wring the throttle. 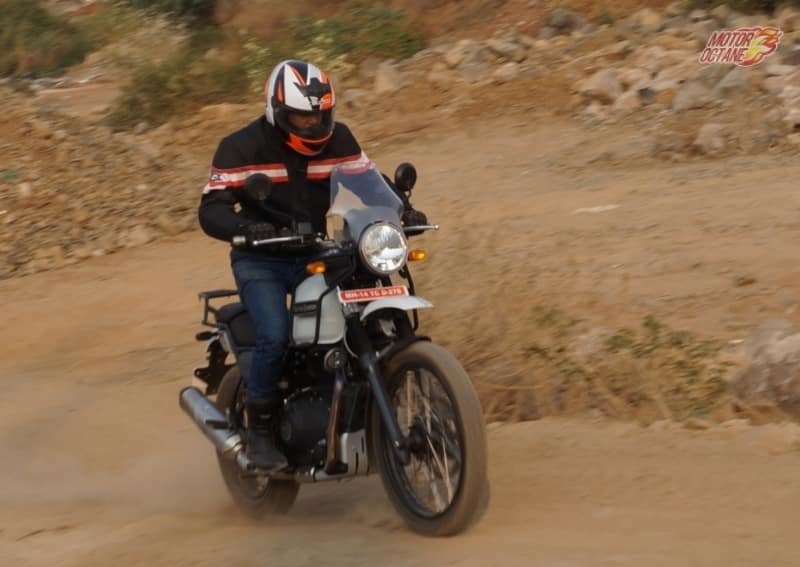 The Himalayan has a laid back acceleration but offers a seamless delivery of torque. This kind of delivery is very helpful while off-roading. It is nevertheless a decent cruiser. The engine is mated to a five-speed constant mesh gearbox. Its not the smoothest and we found it a bit coarse during shifts. The engine features an overhead cam that has a good spread of torque across the power band, offering good a mid-range alone with low-end torque and a high-end torque for comfortable cruising. The engine has a three-piece construction shaft with a counter balancer and fewer moving parts reduce vibrations and make the ride experience smooth. 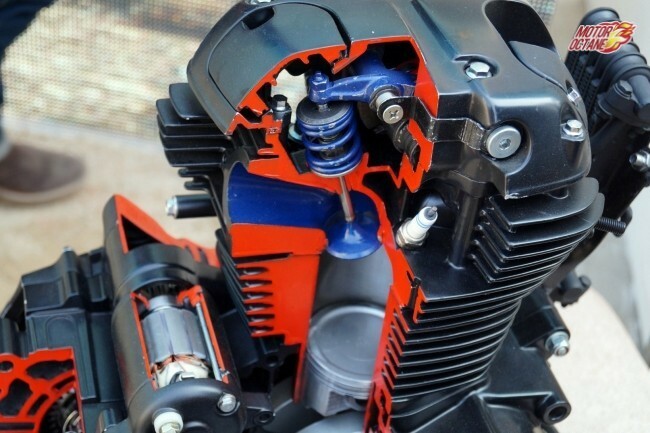 There is an external cooling system for the crankcase oil that helps in controlling engine temperature. It also reduces wear and tear and and improves performance. This is the most impressive part of the Himalayan. The saddle height is actually quite accessible and easy to mount on. Even short riders will have no problems keeping their feet firmly on the ground while being seated on the bike. The telescopic forks with 200 mm travel and the rear monoshock do a great job in providing a comfortable ride. It also behave well on bad roads, soaking undulations and potholes with ease. The high ground clearance of 220mm can tackle most obstacles and gives a lot of confidence to the rider. The front 21-inch wheels and rear 17-inch wheels give it a stance of an off-roader and also perform like one. The dual purpose tyres further help in very good traction and ability to tackle multiple terrains with ease. The seat is very comfortable, both for rider and pillion. I would’ve preferred the fuel tank to be a bit wider so as to provide a better grip by the knees. The Himalayan is bound to have good handling with the set of wheels and tyres and it does have one. These tyres though are not the best for high speed cruising. The bike is nimble and a breeze to take bends on. This is such a revelation for a Royal Enfield. The brakes are not great, especially the rear one. ABS would have made the braking much more better and confidence inspiring. 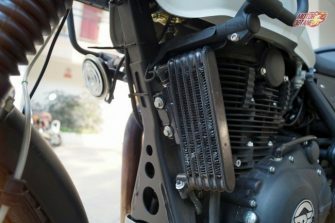 Royal Enfield will be introducing it later on the bike. I’m not too impressed with the fixed headlamp cluster. A movable one would help illuminating blind spots on sharp winding roads. 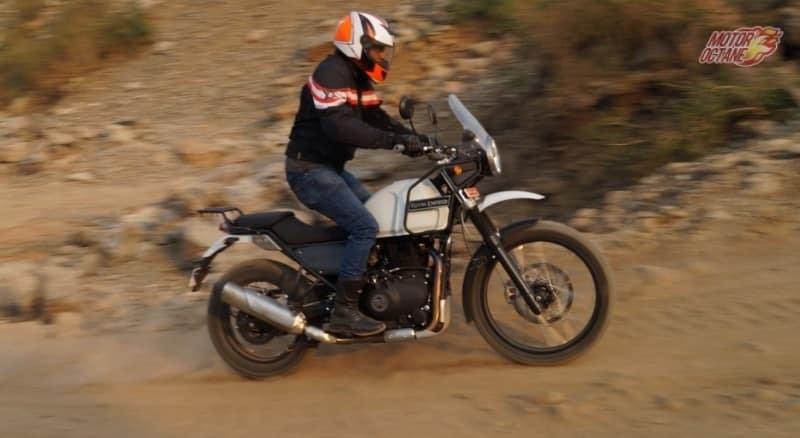 One thing that stands out for the Himalayan is its ability to manage itself when off road. This is an area where the Himalayan excels. Now, have a look at the bike – its stance, its 21-inch front wheel, its riding position and ground clearance. 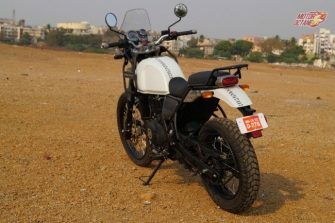 It screams out to say, “take me away from the road!” The Himalayan is a joy to ride when off-roading. The bike feels at home on lose soil, steep gradients and even slush. Specially on slippery soil, the low-end torque of the bike comes in handy. 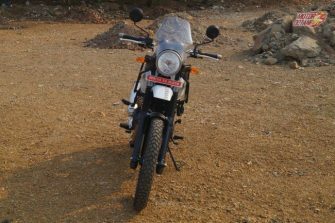 As I mentioned earlier, the Himalayan is easy to ride even standing. The bike is narrow hence very easy to maneuver too. It maintains its balance very well even on tricky turns. The Ceat tyres do their job well in cross-country conditions. I don’t see any other bike in this price range performing the way the Himalayan does off-road. 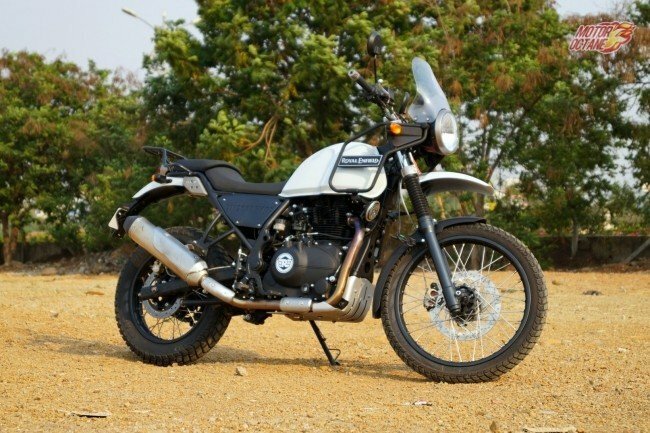 Royal Enfield Himalayan is priced at INR 178,872 (on-road, Mumbai). The Royal Enfield Himalayan is the first affordable adventure tourer in the country. It is an all-new bike from the company and is expected to appeal to the biking community especially the adventure riders. There will also be a range of accessories available to facilitate customization as per individual preferences. Is it good for daily use? The Himalayan is a no-nonsense bike. It is built for a purpose and it rightly delivers in those areas. The Himalayan may not be the bike for you if you love to be the first to zip off a traffic signal. Neither is the bike a great looker, if you are looking for beauty. However, if you are an adventurous person and love to try out new places or tours, then the Himalayan makes for a suitable companion. Yes, it does feel wanting in a few areas like gearshifts, lack of ABS and falls a little short on top-end performance, but when you look at the price tag, it makes very good sense. 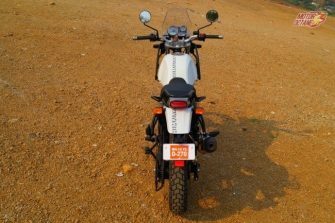 The Himalayan is a unique product in the country and it is mainly targeted at newcomers to the adventure biking world. A good product to make the community grow. Given its maneuverability, even for city this is an ideal bike. If you want a Royal Enfield, but something that is fresh yet affordable, the Himalayan ticks the right boxes.